What's Your Budget? The WYB team's challenge is to find the best electric showers on a mid-range budget. What electric showers can you buy between £150 and £300? WYB finds out! Posted By Alan, 1st Dec 2017. 7 Minute Read. Showers, They’re the most convenient way to wash on a daily basis, yet many of us use them without much thought as to whether or not you’re getting the best experience. 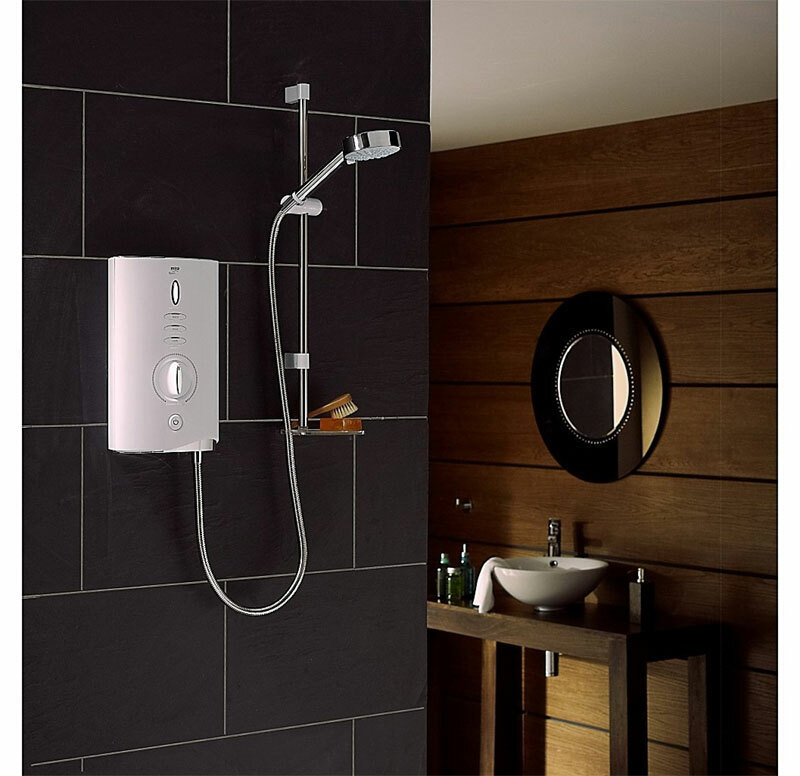 If you’re looking to buy an electric shower and you’re unsure what you can get for a mid-range budget between £150 and £300 then read on to find the best option. An electric shower should perform perfectly giving you the ultimate showering experience every time you use it. We want to ensure that you don’t get any nasty shocks when spending your hard-earned money on your next one, so we’ve highlighted several for you below that will help you get the most from your money. Depending on your budget, electric showers can also be incredibly stylish, functional and full of technology. With a budget of £150 - £300 you’ll certainly find something stylish. The latest electric showers come with a variety of colours and finishes making them ideal for blending well with your current bathroom design. If you're planning on a new bathroom and want a new electric shower for it then why not check out our wide range of bathroom suites to get an idea of colours and materials used; this will really help when buying additional fixtures like electric showers. A mid-range electric shower budget will also open you up to excellent functions; mulit-spray pattern functions, safety features and energy efficient options to suit. You’ll also find electric showers with the latest technology for your budget too! Some come with a phased shutdown option whilst others feature anti-scald technology which will keep your family safe by stabilising the water temperature at all times. With such a huge range of options to choose from, finding the best electric showers for your money can take a some time. We’ve done the hard work here to show you 5 electric showers that are well worth your consideration. The majority of these electric showers come with several kW options, but if you’re not sure which kW you need then you can find out more about electric shower kW ratings here. Packed with useful features, including Sensi-flo technology which prevents scalding, the Mira Sport is an all round excellent option which is trusted by traders and plumbers nationwide. All Mira electric showers are built to high standards. The Mira Sport comes with 2 years guarantee and they're stylish too; ideal for contemporary bathrooms and wet rooms. What could you buy with the change? Ensure your new electric shower looks great against the wall with some stylish bathroom wall tiles? If you're all about style then you'll love the Aspirante from Triton. The minimalist look is forever growing in popularity and the Riviera Sand colour on this model is totally unique! With Triton electric showers you'll find useful features. The Aspirante is no different. It comes with a 5 spray pattern giving you the luxurious experience of a spa in your own home. What could you buy with the change? With a large portion of your budget remaining, how about this popular Cove quadrant shower enclosure, could it be the perfect addition for your bathroom? If your families safety is your number one priority for your electric shower choice then the Aqualisa Quartz is a tough one to beat. The wide range of Aqualisa electric showers have long guarantees and as well as being durable, their modern style is highly desirable too. What could you buy with the change? 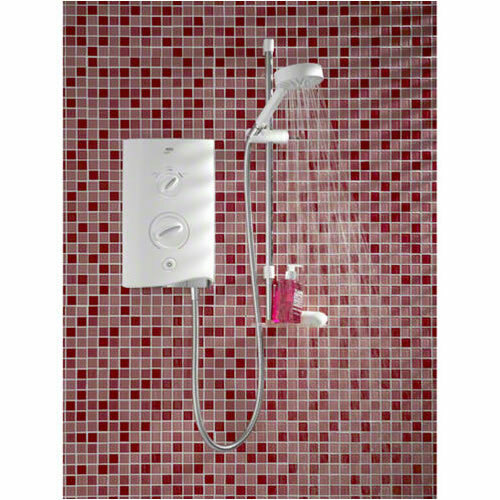 Choosing this Aqualisa Quartz electric shower will leave you with enough money to keep your shower tidy. Why not go for this stylish Croydex 2 Tier Stick n Lock Storage Basket? With the MX Inspiration Gold, it's all about style and simplicity. 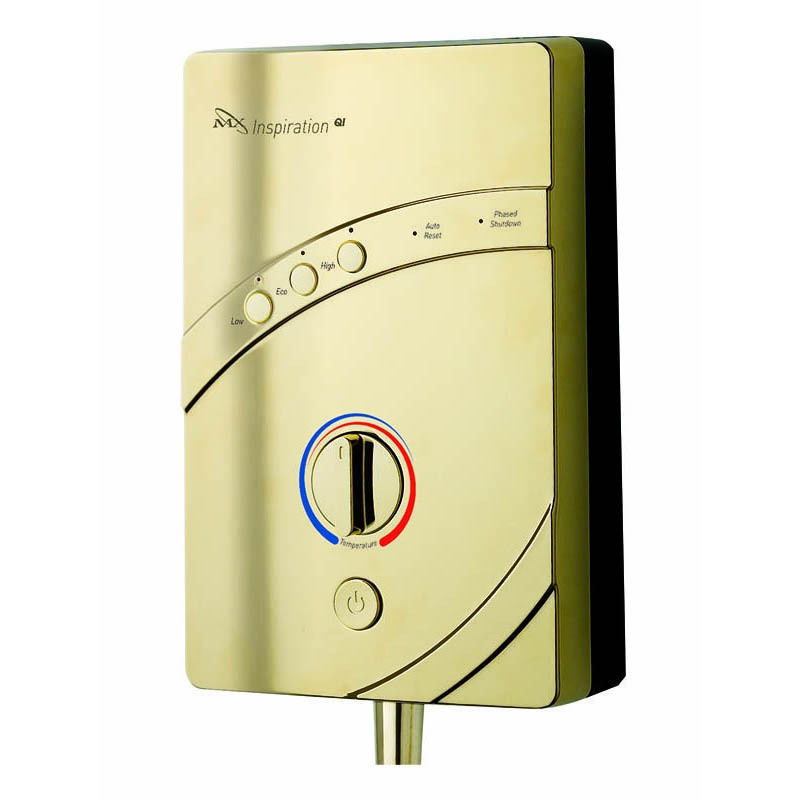 With a huge rise in popularity for gold fixtures in bathrooms, this gold electric shower is sure impress. MX electric showers are renowned for their quality, but one of the great features of this shower is that it is designed to be extremely simple to install. Something, if you're anything like me, which will be music to your ears. What could you buy with the change? This electric shower comes way under budget so if you want to use your change wisely, why not add some shower speakers for an even better experience? For a mid-range budget, you'll be amazed to find one of the best performing electric showers in the UK, with the Mira Sport Max. As with the Mira Sport, the Mira Sport Max comes with 2 years guarantee, but includes Airboost technology which injects air into the water flow and increases the flow of water by 30%; giving it an incredible boost. What could you buy with the change? With a substantial amount of money left over from your budget you can browse our bathroom accessories for some extra bathroom style. When you have around £300 to spend on electric showers, you find that the style and functionality is in abundance. Bathrooms are becoming a great place to add style to your home and we're sure you'll agree that the options above all look great! 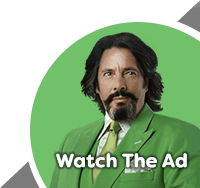 We have tried to include something for everybody here, which we think we've done really well, but there are other options out there that would still be a great buy with your budget. One brand we've included twice here is Mira. 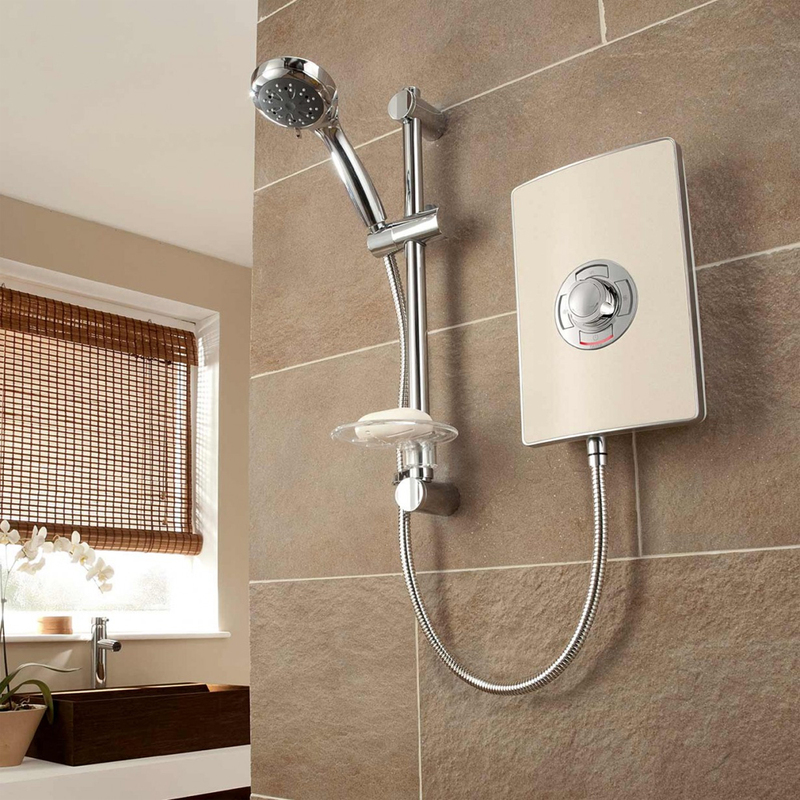 We recently wrote a guide to choosing Mira showers which you may find helpful. 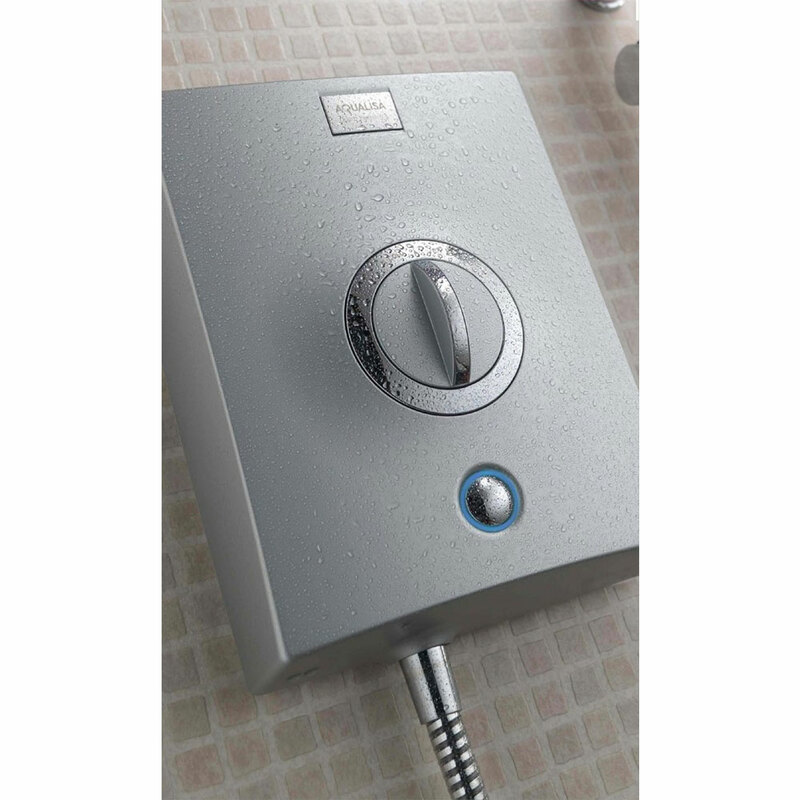 We'd love to hear your thoughts on our latest electric showers WYB feature so please comment below or feel free to share this with others who may find it useful for them. below are more editions of our WYB series including electric showers under £150 which may also be helpful.